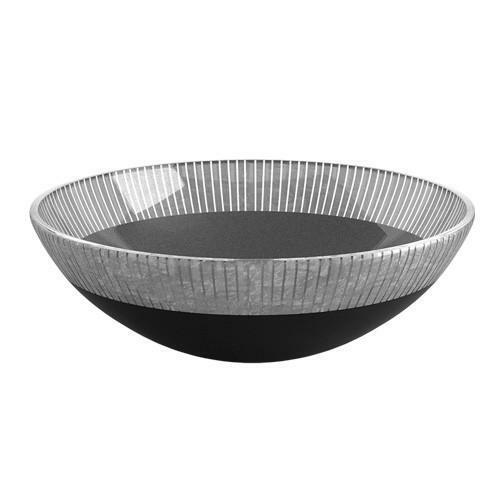 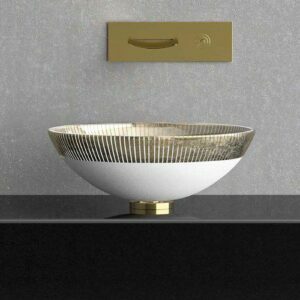 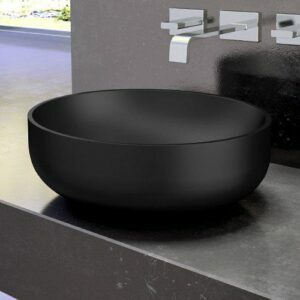 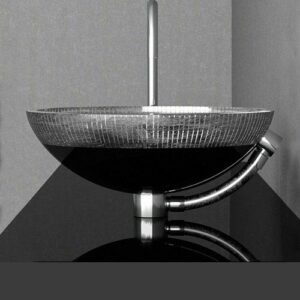 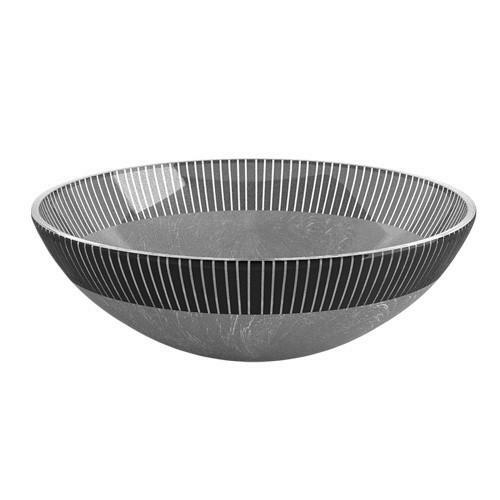 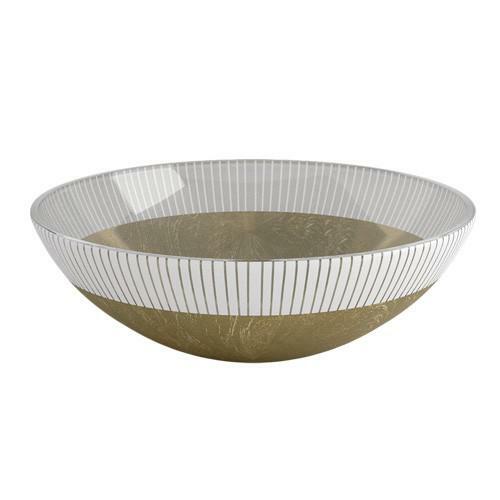 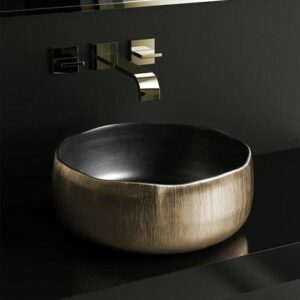 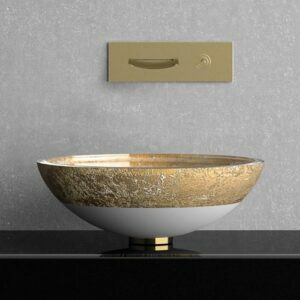 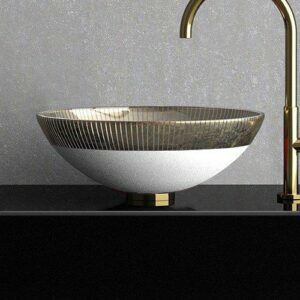 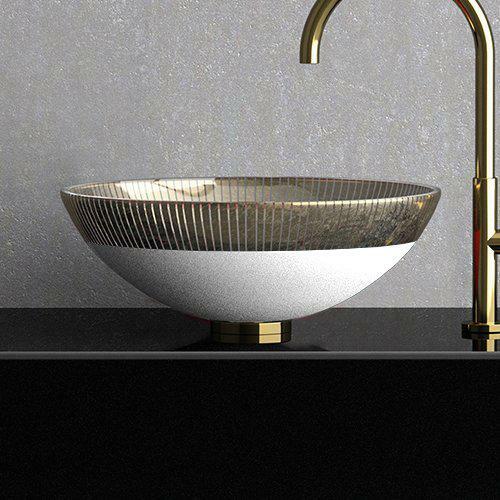 FILIGRANA round countertop washbasin, diameter 40 cm, in crystal enriched with exclusive decoration texture, hand-made. 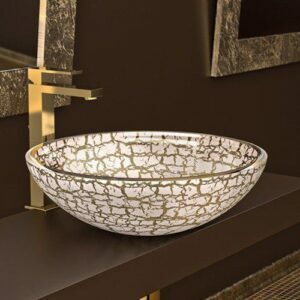 The monochromatic colour or the uniform leaf finish combines and contrasts to the vertical motif upper frame. 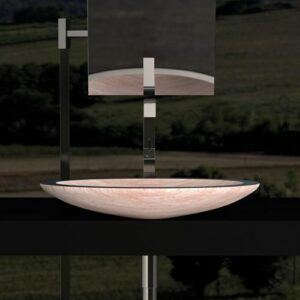 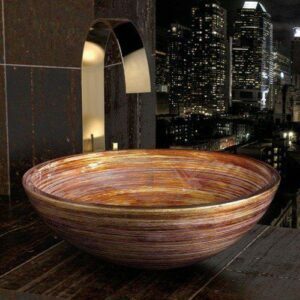 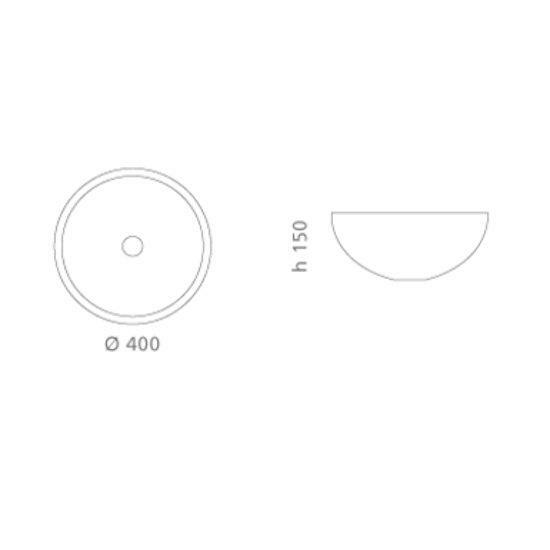 An elegant though contemporary product proposed in various combinations.